This week: The US Government pulls diplomats out of Yemen as Houthis take control of the country. Theaters saw the worldwide release of the movie version of Fifty Shades of Grey. Ecuador president Rafael Correa carps back at John Oliver on Twitter (Washington Post). How Is This Still A Thing: the Sports Illustrated Swimsuit Issue (YouTube, 3m). The main story (YouTube, 18m) is on the current boom times for the tobacco industry around the world, and the efforts they've gone through to ensure them, which include suing countries through international courts to repeal and prevent public health legislation. Oliver presents a new mascot for free use of the tobacco industry, Jeff the Diseased Lung in a Cowboy Hat. Twitter uses can show their support for Jeff with the hashtag #jeffwecan. At the end of the title sequence of each episode of Last Week Tonight is an image that's different every episode, identified with a fake Latin phrase. This time, it's Hostus Maximus with a picture of soon-to-retire Daily Show host Jon Stewart. Mefi discussed the plain packaging law in Australia here. It's nice to hear about the data from the ban. I really love the somewhat 'stunty' aspects of LWT, like sending Jeff shirts over to Togo just for the PR value. I think it exemplifies what distinguishes the show from TDS and other dailies, the amount of prep and effort they can put into their pieces. That and the malevolent glee that John Oliver displays when it's happening. I loved how he could barely hold it together saying, "Don't be mad!" I'm sure this will blow over and never gain enough traction to slow smoking rates but, man, I bet PMI was fuming--if only for a few minutes. I am impressed with his research team. They're good. This was great, because I'm about to quit smoking (a-hem... Again...) and there's little that motivates me more than refusing to support douchebags. (Not that I didn't already know that they were douchebags, but I never realized the extent of the douchebaggery. "Nice country you've got there, Togo. Be a shame if someone were to sue you for all of your money and destroy your country's economy.") Nope. I've bought my last cigarette. Not giving them any more of my money. That was the best push I could get, at exactly the right time. I love you, John Oliver! And John Oliver's researchers! I'm in awe and in love with this show. I like how in depth and yet how funny the stories are. It's 60 minutes, only relevant and funny. And Jeff. What a great Halloween costume that would be! They were! I can't find the actual tweet but this LA Times article has the content of the response in full. "...And, like any other company with a responsibility to its business partners, shareholders and employees, we ask only that laws protecting investments, including trademarks, be equally applied to us." The whole message essentially boils down to: "Yes, cigarettes are bad. But let's focus on the real danger here: infringing on intellectual property. Oh, and follow the links so we can assure you our marketing campaign wasn't banned in Germany." #jeffwecan is already working. Check out the image search for Marlboro Mascot. The recent interview in The Verge (previously) said that when they started season 1 there was only one full-time researcher on staff, and they've upped their team to four this season. That's incredible that that few people are able to build such great stories. 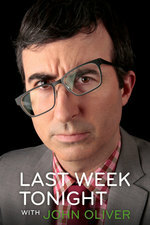 Last Week Tonight Renewed for Two More Seasons at HBO. 35 episodes a year for 2016 and 2017. I've been struggling with how much extra material to supply with these posts and how to present it. LWT is an awesome show, but I still think a little extra digging might be useful to people. But I don't have the time to make every episode basically a megapost. BBC: Who are the Houthis? It's a good backgrounder on the basics of the situation, with links for additional reading. The reporter who spoke with the Yemen leader is Rod Nordland of the New York Times. Here's a link to the clip on Real Clear Politics. "[The new Houthi government in Yemen] are trying desperately to reach out to thew United States, to try to persuade them that they want to be on friendly terms." World release of Fifty Shades of Grey. France has five categories for movies, prohibiting viewing to: no one, those under 12, those under 16, those under 18, and everyone. This document (PDF) from the Indian government summarizes motion picture restrictions around the world. GlobalPost story on Carrea's response. "I never expected Crudo Ecuador would get to the point that I'm probably one of the most wanted by the Ecuadorian government," they said. "The president has a TV programme - financed with my taxes - and he is using it to discredit me just because I'm giving an opinion." Washington Post: Did Sports Illustrated's Swimsuit Issue go too low with Hannah Davis's bikini bottom? Here's the Flintstones commercial for Winston Cigarettes the clip in the show was taken from. Fred Flintstone: "Winston is the one filter cigarette that delivers flavor twenty times a pack!" The pack is depicted photo-realistically. Nothing is mentioned of the fact that Fred and his collegues are cavepeople. Article mentioned, from the Los Angeles Times: At least four Marlboro men have died of smoking-related diseases. The last one perished January 10, 2014 at age 72. He had smoked since age 14. Joseph Cullman's remarks on babies born to women who smoke (he admits they're smaller but claims are no less healthier) are transcripted at tobacco.org. The Marlboro promotional video excerpted in the video.